Kalsada Coffee in jars, circa 2014. Auntie Leah retail bags, circa 2015. When we started our journey of finding the best coffees in the Philippines, we were surprised at how difficult it was. We considered ourselves lucky to find Auntie Leah whose coffee were clean and had distinct flavor notes we liked. But she, like many smallholder farmers in the Philippines, could only produce a maximum of 35kgs. So naturally, we would also go to her neighbors and try to buy their coffees. In most occasions, we ended up empty-handed as the quality of her neighbors’ coffees were not the same as hers. And so, for the first two years of our exploration, we would seek out individual farmers, listen to their stories of growing and processing coffees and taste and try their lots. Most of the time, the coffees that scored the highest on the cupping table would be less than 35kgs. Because of its seasonality, coffee is not the primary crop. Farmers focus on growing vegetables because they can harvest it weekly, securing cash flow for their family. There is a lack of infrastructure and machinery to process the coffees. Majority of the farmers manually pulp coffee using a big mortar and pestle or with a hand-cranked pulper they made themselves. This process takes a great chunk of their time, not to mention the wastage created in the process. To save on time, farmers would consolidate three-days worth of harvest and process them all together instead of processing daily. This practice has a huge impact on quality. It rains a lot during harvest season and since farmers are not financially equipped to build suitable drying facilities, they are forced to either dry the coffees as fast as they can on roofs or settle with high moisture coffees. With these considerations, farmers are not encouraged to grow more nor invest in better agricultural practices. Most of the time, they will settle with mediocre practices and sell to the local market at low prices. What we chose to do at Kalsada was to address all these individual concerns collectively. We built a washing station that processes not only Auntie Leah’s coffees but also her neighbors. We brought in a mechanical pulper that pulps all the coffees brought in everyday with minimum labor required. We built drying facilities ensuring coffees are free from fungal contamination and safe from occasional rain showers while maintaining a slow drying process. Instead of focusing on finding buyers for their coffees, farmers have a consistent buyer for their coffee cherry and incentivize the effort to wait for the cherries to fully mature before they are picked; an idea which was also sparked by listening to the farmers. They also shared with us that they harvest and process the coffees as soon as they can – including the immature cherries, dry them as fast as they can so that they can sell the coffees right away. This practice has been the primary reason why the majority of the coffees from this side of the country used to taste unripe and had either high moisture content or are dried too quickly. Aunties and Uncles pose for a photo after delivering coffee cherry. Four years into our operations, we no longer work with only 15 farmers whose names you might have come across in our early years. When you get a bag of Sitio Belis, it translates to 70 farmers who bring in their cherry to our mill everyday. We still get really picky in terms of buying the raw materials just like we were with our green purchases. We decline to purchase immature and over-ripe, deteriorating coffee cherry. We float the cherries when they arrive at the mill to get rid of defects. And everyone has an equal opportunity to have their coffees processed in the best possible way we know how. We are still a long way from achieving production that will fill an entire container but now that the initial concerns of Auntie Leah and her neighbors are addressed, it opens another discussion on how we can grow healthier trees that will produce more cherries. There are always new concerns to be addressed and we’d be thrilled to chat about these with you over bottomless overflowing hot cups of coffee in Sitio Belis with Auntie Leah and her newborn baby. Auntie Leah with her boys. Limited Release: Three Process Subscription. Years back, I met the team behind Kalsada and became quite familiar with their work in transforming coffee farmers’ lives. 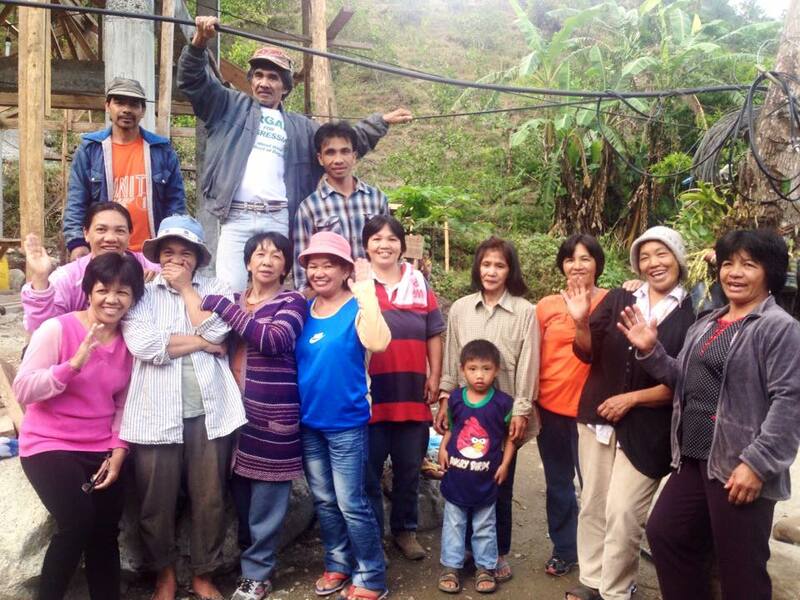 I joined them on several farm trips to Benguet, with different companions each time. One particular trip stood out where we put out improvised insect traps in a farm severely affected by coffee berry borer that I became really curious -- what was the agriculture and science behind this? Little did I know then, I’d be joining the team soon after my move back to Mindanao almost two years ago. I traded the confines of a systematic and exacting approach of the lab work that I was used to, with that of an open-ended community driven work where there are no standard formulas or technical specifications. Instead, I had to actively listen, observe and be open to possibilities. Learning how to be "open to possibilities" while harvesting ginger with Auntie Melia. Having been born and raised in the agricultural landscape of Zamboanga del Sur, I understood early on that farming was a serious matter. My parents own a small integrated farm planted with coconut, cacao and a good mix of fruit trees. During middle school, I remember playing under the canopy of robusta coffee trees that my parents used to grow in our backyard. And in the mid 1990’s when the price of coffee reached rock bottom, a buyer came and asked to purchase the cherries. My mother created an agreement with the buyer: they could get the cherries if they harvested it themselves. Our family backyard, where pomelo and rambutan replaced the coffees. My work mainly involves community partnerships in Mindanao. The first community we partnered is in Pigtauranan, located in the southwest part of Bukidnon, near the border of Lanao del Sur. The community is at 1000 meters above sea level, sits on the foothills of Mt. Kalatungan mountain range and is home of the 35-hectare Lake Napalit. Going to Pigtauranan, there is no signage and your phone’s only functionality are limited to camera, calculator and flashlight. If you’re looking to disconnect from the rest of the world and reconnect with what is present and in front of you, you can do it here, come and visit and keep me company during harvest season! It was through several visits and community consultations between 2015 and 2017, were we then converged onto the collaboration. In preparation, we designed and conducted specific workshops and targeted trainings to standardize processes. Together with Bayanihan Millenium Multipurpose Cooperative (BMMPC), we created the first community mill and started processing coffees. Coffee trees are known to adapt well in different terrains in Pigtauranan, you can find them in the farthest and steepest locations that usually take 2-3 hours to get to. With no actual roads leading to the coffee farms, you can either go by foot, a carabao or horse ride. Due to the lack of infrastructure, making it almost impossible to pick and process on the same day, we experimented on the processing. Taking into consideration the varying length of the in-cherry fermentation, the coffees we processed as washed, honey and natural. For the unfamiliar, coffee cherry fermentation is a metabolic process that starts right after picking, and the extent of fermentation is highly dependent on temperature and level of ripeness. Because we wanted to explore the cup potential of the different varieties available in Pigtauranan, we sorted them accordingly. Understanding the interesting occurring reactions inside the coffee cherry is something that’s very relatable to me, even in the molecular level. Harvest season came late this year and when the first cherries of the season were finally delivered, it felt like receiving a sack of Skittles! From the immature green to the overripe dark reddish black and everything in between. Through constant reminder and encouragement, the cherry ripeness significantly improved and I would hear farmers teaching one another the “Kalsada way” - from picking to sorting and processing. Processing coffees and translating the flavors into the cup is for me the most exciting. My work in Kalsada afforded me a laboratory without a wall or division. I was reunited with my long time subject organic chemistry through the so-called fermentation of coffees. Equipped with a good background in fermentation, crafting and manipulating processes were easier. It was also an opportunity for me to share to farmers the science behind it, including the practical application like knowing the things they can control, choosing the appropriate process and even predicting results before they happen. I tried to instill to the community members I was working with that specialty coffee doesn’t happen because the cherries rolled over and somehow did some magic chants, but that they as farmers and producers make it happen. My workstation with a view. This first year working in the community maybe the hardest and the most challenging as our harvest in Pigtauranan was low and living and working in a community was a new experience for me. With less volume to handle, managing the mill was easier and we got to focus on specific processing experiments. The road to transformation will be uphill and a bumpy ride, but our presence and integration in the community is slowly breaking the wall of doubts and hesitation. After all, the journey of Philippine specialty coffee is taking a leap for a bigger and brighter possibilities, and I am going forth with it. As we begin this new harvest season, we reflect on the great things we have achieved this year. Construction of the micro-mill is underway and we have already built two drying houses in preparation for the coffees. Our pulpers have been installed and experiments with the initial harvest have begun. If you’re in Seattle this week, we hope you’ll join us at a special cupping event of the latest coffee from our farmer partners. We’ll be at Plank & Grain Furniture Co. in the Chinatown-International District this Friday evening. See you there! Evan Gilman, a Kalsada contributor, is a coffee professional from Seattle, Washington who has been in the industry for more than 12 years. His recent travels have brought him to Southeast Asia to gain first hand knowledge of coffee processing in Indonesia, obtain Q Grader certification, and tour with Berkeley, California’s Gamelan Sekar Jaya. Currently, he also writes articles for Sprudge, and assists Kalsada with quality control and traceability. We asked Evan to write about his first experiences with Kalsada. After tasting the beans from Auntie Domisa’s farm, we made a trip to Caliking, Benguet just to meet the woman behind this syrupy sweet cup. When we arrived, we explained how lucky we were to have found a sample of her coffee, and that we came specifically to hear her story. She laughed and said we were a weird bunch, but that she would be happy to answer our questions. © 2017 Kalsada Coffee. All rights reserved.